But here’s the catch – this one is actually different! It’s truly unique and the details are exquisite and the theme is concise (but not forced) and the best part is that it actually makes sense. The vendors took a theme and applied it to a styled shoot that could ACTUALLY work for a real wedding! The theme incorporated a song (Dave Matthews Band’s “You & Me” – a fab wedding song) AND the couple’s love story, to create a styled shoot that was yes, styled, but also inspiring and applicable to a real wedding. They also created details that the couple could actually re-use as art in their home after the wedding! What a novel idea! 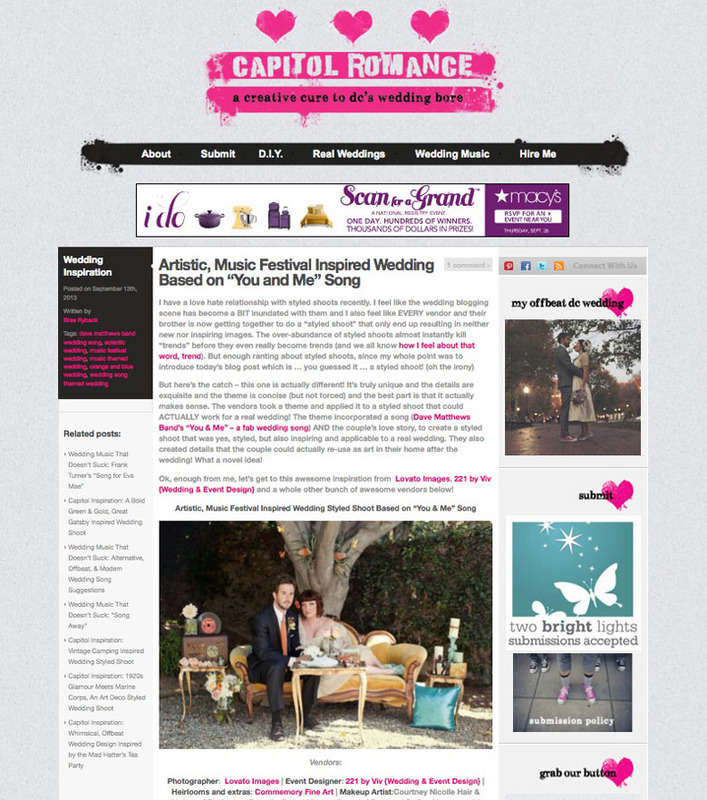 Check out the full feature on Capitol Romance here.